I found this little gem of a book in a box of my Grandma Agnes Pitura's old cook books. 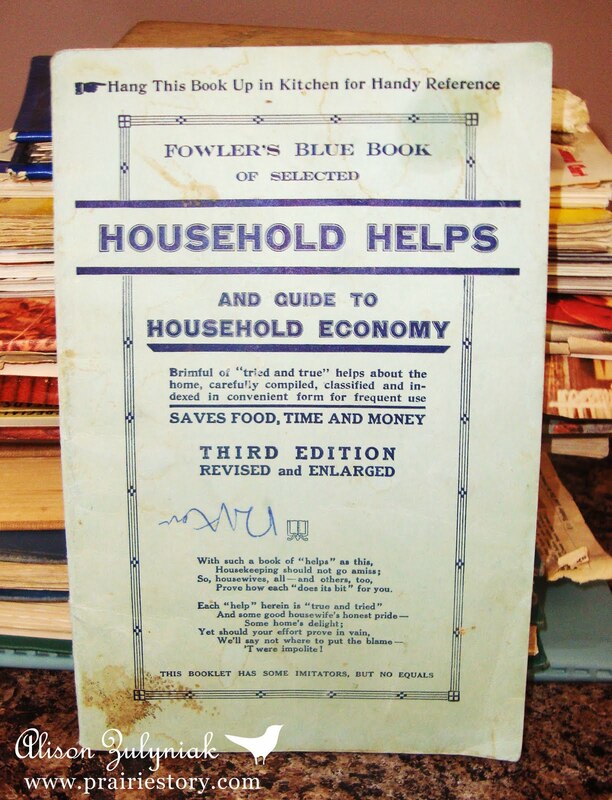 It's called Fowler's Blue Book Of Selected Household Helps and Guide to Household Economy. Other than a few stains and a bit of writing on this 64 page paperback from 1927, it's in pretty good shape, and I've been immensely enjoying reading it! As it says on the cover, this little book houses a "brimful of tried and true helps about the home, carefully compiled, classified and indexed in convenient form for frequent use". To Mark Your Page in this book, your cookbook (or any book), just snap a rubber band over the page and back of book lengthwise. Butter, Oil, or Pure Glycerin rubbed all over very fresh eggs will keep them fresh for some time. Good and Cheap Sachet Powder for bureau drawers. Mix one-half ounce of lavender with one-half teaspoonful of powdered cloves. Boil a New Clothesline for one-half hour before using. It prevents stretching, it will last longer, and will not tangle. 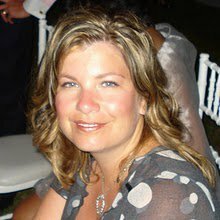 A Good Hair Tonic to prevent hair from turning gray or falling out. Make a quart of strong sage tea, adding a teaspoon of salt; apply to scalp three time a week. The more I read, the more I realize a how much things have changed in 90 years, and although wives and moms are still trying to make their house the best home possible for their family, it was a certainly different for my Grandma!